Toni Lee Wells is out of control and her aunt simply is not going to stand for it. Never one to pull any punches, Aunt Corny gets right to the bottom line: get a job, keep it for a year, and get a five million dollar pay out. Easier said than done for the girl who never worked a day in her privileged life. But money is a powerful motivator and, before she knows it, Toni Lee is a teacher in one of the city’s toughest neighborhoods. Toni Lee’s new career is full of comic missteps that made me chuckle more than once. In Girl Meets Class, we get to watch as a somewhat spoiled, selfish, and self-centered socialite turns into a caring and responsible teacher who puts her students and their welfare first. There are a lot of funny, touching, and heart-warming moments along the way – as well as some embarrassing and cringe-worthy ones, as well! 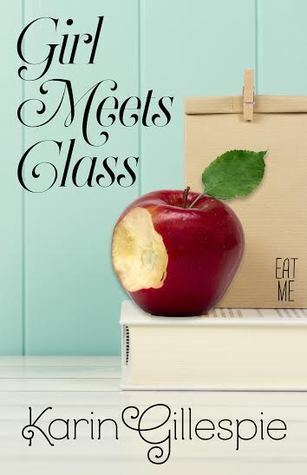 Girl Meets Class is, at times, predictable, but it’s a fun and enjoyable story. Along the way, Toni Lee Wells becomes a character you care about, root for, and grow to really like. Want to win an e-copy of Girl Meets Class? Simply send an email to jenna[dot] czaplewski [at] gmail [dot] com by Sunday, September 20, 2015. Be sure to put Girl Meets Class in the subject line and tell me the name of your favorite teacher! Winner will be selected at random on Monday, September 21, 2015 and will be notified by email. Good luck! !